Whenever I get out of the city, one of the things I most look forward to is thrifting. Although I certainly have my favorites, thrift stores in NYC tend to be picked-over and over-priced. Some mothers and daughters get mani-pedis together, my mom and I go to “Half-price Fridays” at our hometown Salvation Army. Even though we spent our holidays elsewhere this year, we still had some quality time together at second hand stores. 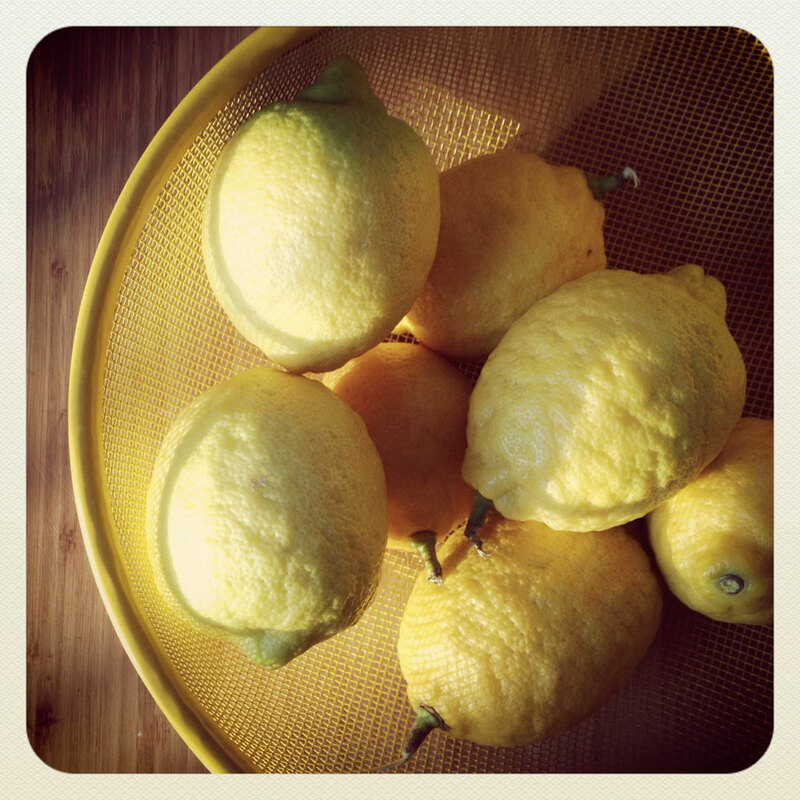 My one good find was this lemony yellow bowl, which I was excited to bring home and pile high with produce. Alas, produce bowls don’t get much play in the Northeast in January, but thanks to a fateful gift from my boyfriend, my lemony bowl was filled with backyard-grown lemons. I’m going to share with you my recipe for lemon marshmallows. They’re an elegant and surprisingly easy way to try your hand at homemade confections. First, I want to round up recipes for what to do with lemons now. It shouldn’t surprise you that I’m partial to the frugal sort of projects that honor the preciousness of the fruit, by using the whole darn thing. Dehydrated Lemons: If you have a dehydrator (or need an excuse to buy one) check out AJ’s instructions and ideas for dried lemons. Preserved Lemons: Prepare to get hooked on this magical, umami-packed creation. I use Marisa’s method and I love them with the hearty winter greens that are still around now. Whole Lemon Bars: David Lebovitz‘s take on lemon bars makes use of skin, pith, and all! That’s them up there. 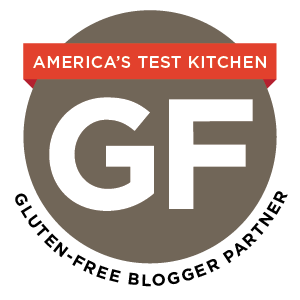 Gluten-free folks, I used a mixture of sorghum, oat, and tapioca flour for the crust. Roasted Lemon Chutney: I made this unique condiment earlier in the winter from 101 Cookbooks. It’s delicious and the roasted lemons are quite beautiful. Lemon Lavender Marmalade: With the help of Kaela’s super-clear instructions, this gorgeous marmalade from Local Kitchen was the first I ever made. Line an 8x8 pan with plastic wrap and oil the plastic wrap. Set aside. In a large bowl (or in the bowl of a stand mixer if you are using one) sprinkle the gelatin over the 1/4 cup lemon juice and 1/4 cup cold water. Let this set while you do step #2 below. A gelatin tip: Try to evenly distribute the gelatin over the surface as much as you can. This will help the gelatin dissolve evenly and prevent you from getting little gelatin clumps in your final product. While the gelatin is dissolving, heat the sugar, corn syrup, and water in a saucepan, stirring occasionally. Bring to a boil and let boil for 1 minute. Remove the syrup from the heat and carefully pour into the gelatin. If you are using a stand mixer, use the whisk attachment to beat on high for 12 minutes. If you are using a hand mixer (I did! ), be careful of hot splatters. I started my hand mixer on low and increased the speed gradually, stood back, and didn’t get much splashing at all. I also used a bowl with high sides. Beat the mixture on high for 12 minutes. At the very end of the mixing process, stir in the lemon zest. Pour into the oiled, plastic wrap lined 8x8 square pan. Oil another piece of plastic wrap and press it on top of the marshmallow. You want the wrap touching the surface of the marshmallow. Allow to set for a few hours or up to overnight. Mix equal parts cornstarch and confectioner’s sugar in a small bowl. Start with a little and make more if you need it. I began with 2 T of each and didn’t need a lot more than that. Sprinkle a sheet of wax paper (or Silpat mat, if you’re fancy) with the sugar/cornstarch mixture. Remove the top layer of plastic wrap. Unmold the marshmallow, upside down, onto the wax paper, by lifting up on the plastic wrap that lines the pan. Remove the sheet of plastic wrap that was lining the pan and spread some sugar/cornstarch mixture on top of the marshmallow. Use a knife to cut into your desired marshmallow size and dredge the remaining sides of the marshmallows in the excess sugar/cornstarch mixture that is on the wax paper. Add more if needed. Homemade marshmallows are a favorite project of mine. If you’re not as psyched as I am about citrus, this recipe is just a very slight variation of my Rosewater Marshmallows and Pomegranate Vanilla Bean Marshmallows. Whole lemon bars? I think I just fell in love…..now to find where the last bag of Meyer Lemons went off to…. Marshmallows are on the top of my to-do list when I either get a stand mixer or more counter space. This is one of the first recipes not using a stand mixer (with proof it can be done) so thats inspiring. Thanks, Angela! They were so delicious and not as bitter as you’d expect w/ peel and all. What a great idea! I can imagine the combination of the sweet and tart makes these fluffy treats truly spectacular. Can’t wait to give them a whirl… with agar-agar, naturally, to keep them herbivoracious! Oooh. I am so intrigued. 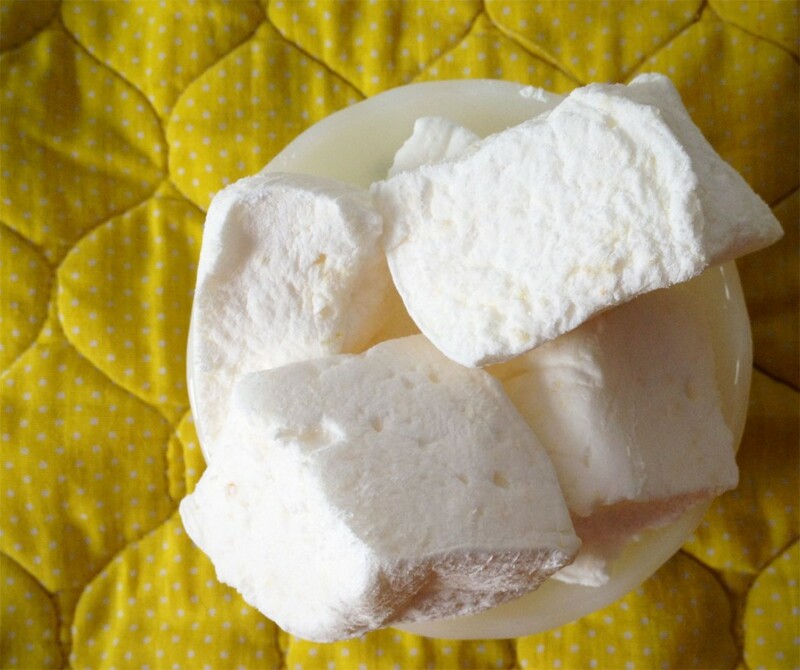 Have you had luck with making vegetarian marshmallows at home?